What's special? : Ding Bien Hu, great value for dinner, "Gong Bia"
Been to this place with a friend of mine for breakfast. Varieties for morning time is quite all right. You can try the ding bien hu (for those who have read my explanation before will know what is this) which is cooked and served in different way. Instead of using the flour type of texture for the main ingredient, it seems they are using starch-alike kind of ingredient and mixed with a little bit of dried cuttlefish for its flavour. 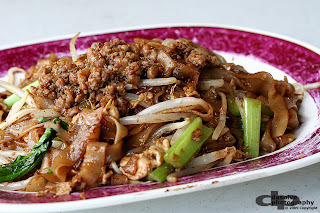 Try their market kueh tiaw. 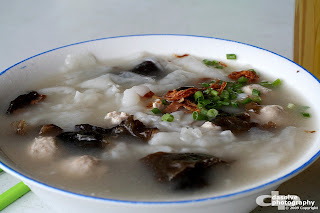 When i had it, it really have the similar taste which i had from the old market. Brings back a lot of memories. There are more dishes which i am yet to show you all but for now, remember to drop by at night for dinner. The price will amaze you based on your order. It is way cheaper than you can predict. For those who plans to have a nice dinner with limited budget, 4 - 5 dishes might only cost you about RM50 in total inclusive of fish. beef noodle eh.... ok. noted! Yep the beef noodles is very good. My favourite of many places! d foods so delic..only need to wait more than 1hrs..haiz...bad! wat r the reservation phone no. 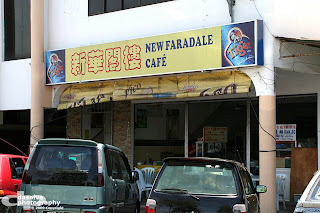 in New Faradale cafe? can anyone here give me its reservation phone no.? thanks! What is the reservation phone no. for this shop? pls let me knows!